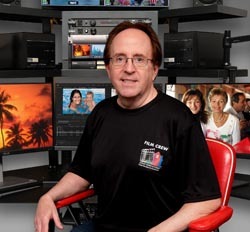 Home Video Studio™ offers professional video, film and media content transfer, video post-production and production services for consumers, organizations and corporate/commercial clients. We also love working with small businesses. 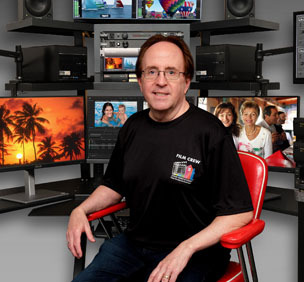 We utilize the latest in computer, video and transfer technology to provide our clients with cutting edge products and old-fashioned service - "Video Services for Everyone" ™. 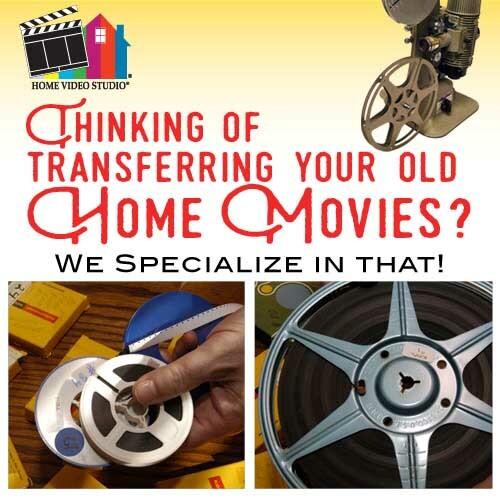 Home Video Studio™ specializes in video editing, video to DVA - Digital Video Archive™, video to DVD transfer, DVD and CD duplication, photo/video montages, Super 8mm, 8mm & 16mm home movie transfers, 35mm slide transfers, smartphone and smart TV transfer, web videos, video tape repair and much more. Whether you need a video from your phone transferred or help in producing a company or organization video, we can help. 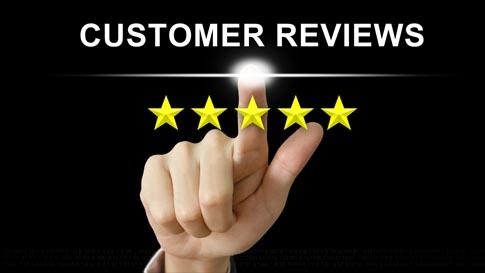 Home Video Studio™ guarantees 100% customer satisfaction. 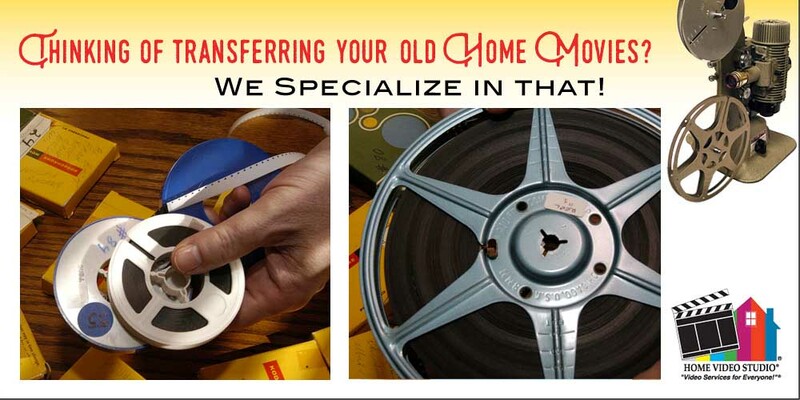 Stop by and see us today or use Home Video Studio™'s free pick-up and delivery service. With studios throughout the United States, Canada and one in Stockholm Sweden, Home Video Studio™ is the number one provider of premium video services in the world. We would love to help you with your project! 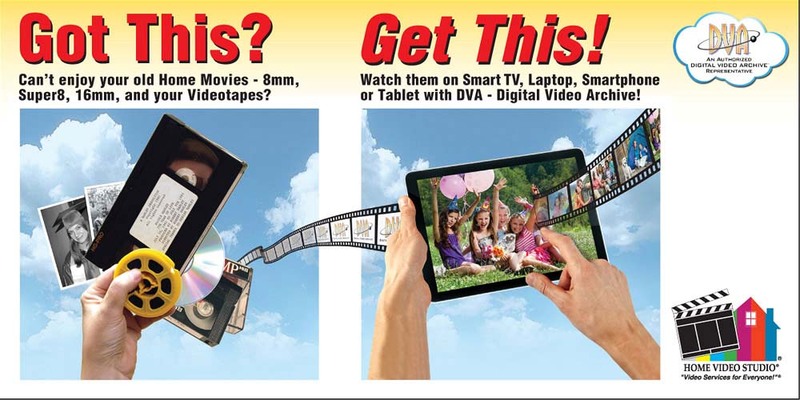 Home Video Studio can transfer your old videotapes, 8mm film and DVDs to to DVA - The Digital Video Archive Cloud! 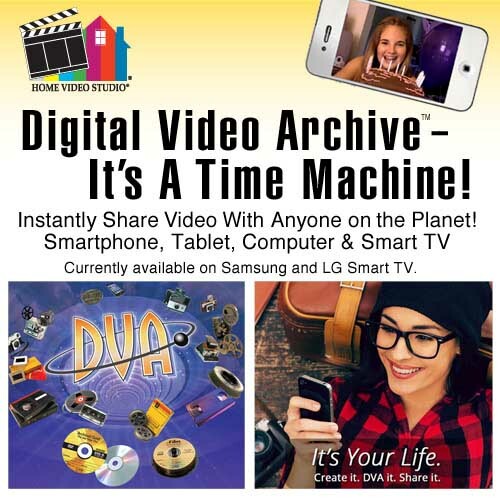 Watch on your memories on your smartphone, tablet, computer, or smart TV! Instantly share your video with anyone in the world for free! It's Back! 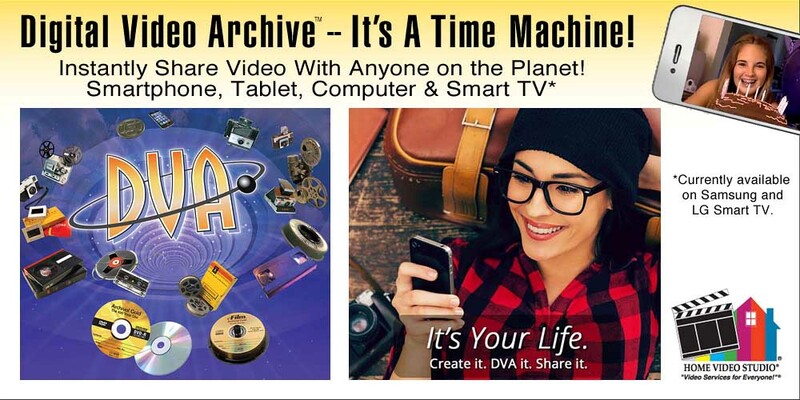 Our Annual "Savers of the Family Archives" Video/Film/Slide/Photo/Audio Sale! Save up to 50% Through Saturday! 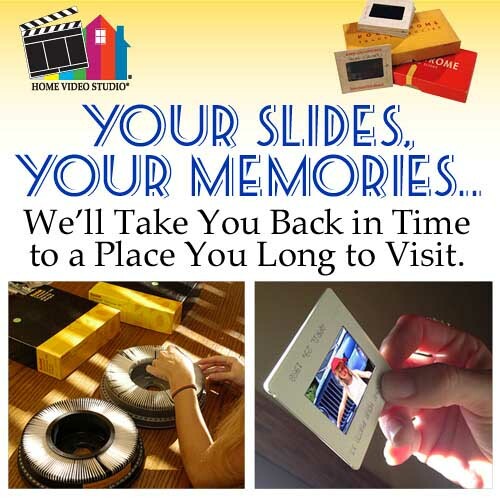 We're in our 29th year in business and we want to celebrate by helping you "Archive" your memories and helping you save money at the same time. 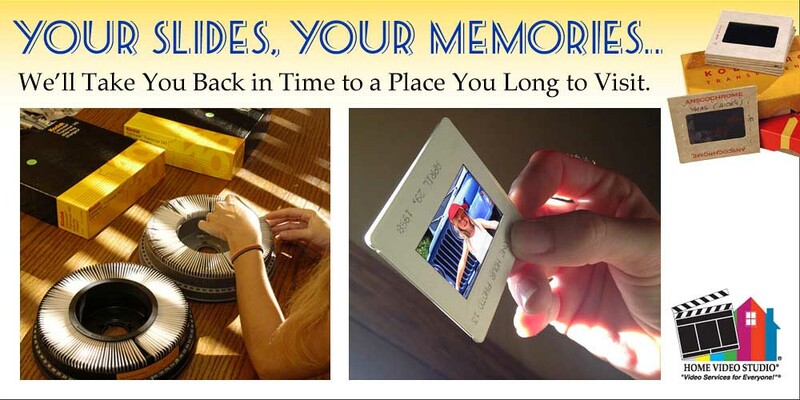 It's your chance to get your entire library of memories transferred! Call or Come in between Wednesday, April 16 and Saturday, April 20, 2:00 pm, to our Indianapolis Studio. You also can call your order in and secure your discount at 317-577-8220 or 1-800-660-8273. Email us at USA@homevideostudio.com.